Jane Foster brings the thunder like you’ve never seen it before – in eye-popping 3D! When Jane lifts the mystic hammer Mjolnir, she is transformed into the Goddess of Thunder – the Mighty Thor! Her enemies are many, as Asgard descends further into chaos and a looming war threatens to spread throughout the Ten Realms. Yet this new Thor’s greatest battle will be against a far more personal foe: the cancer that is killing her mortal form. It’s a legend in the making as the multi-layered writing of Jason Aaron and the larger-than-life artwork of Russell Dauterman leap off the page in three dimensions! Polybagged with a pair of 3D glasses! 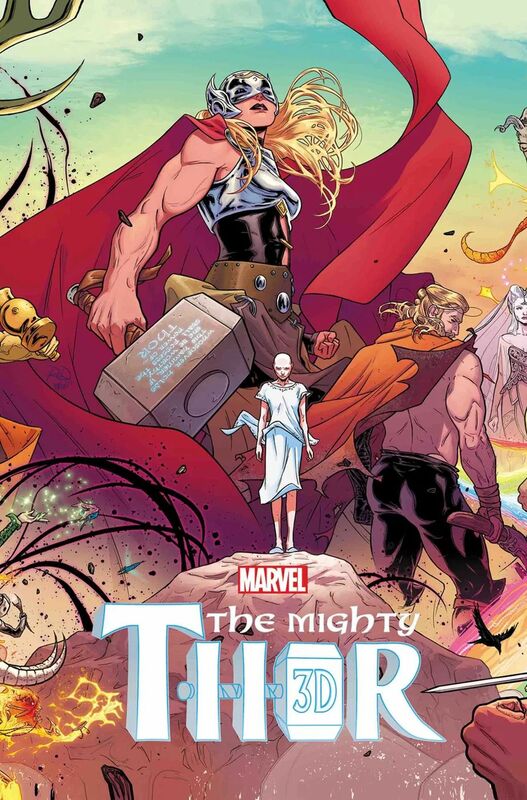 Reprinting Mighty Thor (2015) #1.